Streamline your business with the latest technologies to keep ahead of your competition. A budget phone system can quickly become a costly nightmare if the phone system installation process causes unnecessary disruptions to your business, or equally as costly, your staff can't use the new telephones – unlike other companies, this simply can't happen with Data and Voise! You can relax because all new Data and Voise Solutions installations are implemented with Australia's best telephone system installation and phone system training processes. Your new phone system will be installed and working problem free from day one. 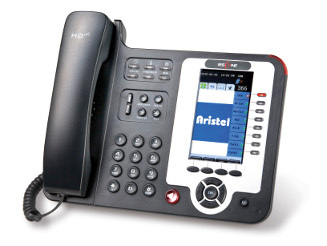 Cost Effective Business Telephone Systems. While we specialise in Hybrex systems, our preferred choice is YeaStar's new MyPBX. Web based, voicemail, concurrent calls, unified messaging, free calls between sites and no license fees. Suitable for standard telephone lines, VoIP (Voice over IP), mobiles and in-dialing to extensions. GSM routing available on interest free payment plan. Reduce your call cost even further with a low cost VoIP phone line for all of your outgoing calls. With only $11 per month access our local and national calls are a fixed call price of a mere 17c per call, untimed. That’s right; any land line in Australia for only 17c per call! Calls to mobiles are 36c per minute, charged in 30 second blocks with a call connection fee of 22c. 1300 numbers are 35c untimed and 1800 numbers are free. If you call overseas we have low, low rates from only 1.9c per minute. - Free site inspection by expert technicians ensures there's nothing which could potentially cause problems during your telephone system installation. - Fixed installation prices so you know up front what it will cost. - Complete data collection process so we can program and test your entire system prior to installation - how it rings, transfers and operates. - Confirm exact installation time and date that's convenient for you. - Organise diversions so you don't have ANY off-air time. - Punctual local technicians so you're not left waiting. - Comprehensive training on the day of installation.